...because it looks deceptively similar to the original! ... which looks deceptively similar to the original... which does not change the character of your face... which has a lifting effect thus making your face more radiant A suitably chosen brow shape with the appropriate colour provides a new mood to the face, without taking away the character of the face. It lends a sense of neatness and beauty to your face. If the arch of your brow is perfect, but the hair is thin and not full, it may be also indicated to apply hair stroke eyebrow. 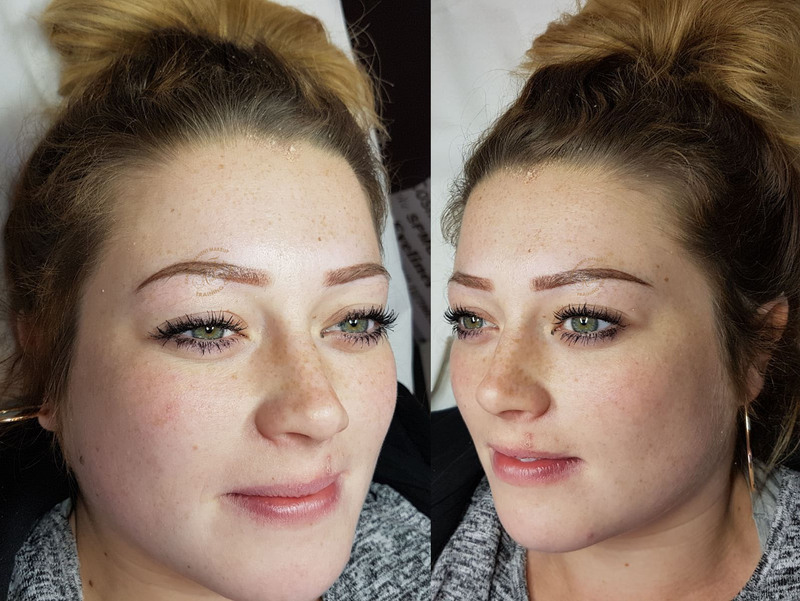 One of the most sophisticated cosmetic tattooing methods is hair stroke technique, which allows for the creation of completely natural looking brows. 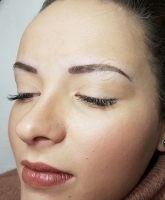 Those who are not experienced in permanent makeup would not realize that in fact the area was tattooed. Brows created this way are characterized by a fuller look, natural colour effect, and a soft arch without strong contour lines. 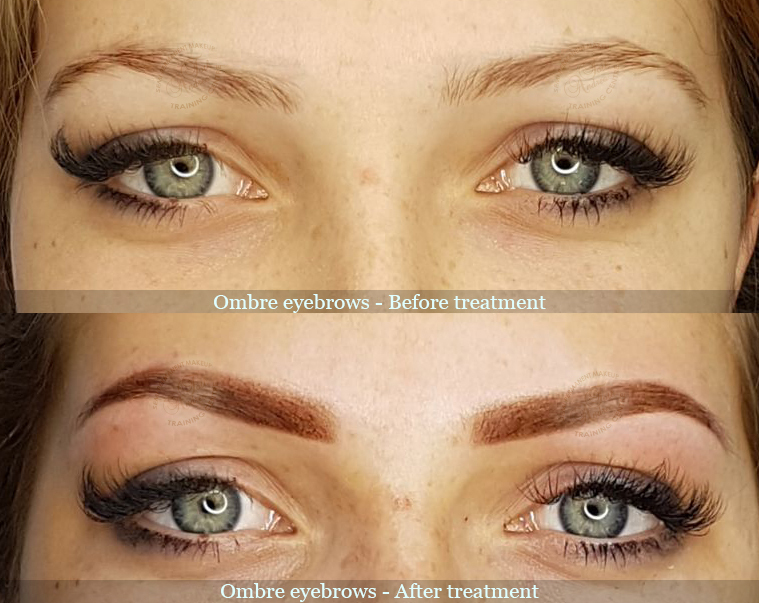 This treatment is based on imitating every single brow hair in alignment with them through the stroking of the needle through the skin creating the illusion of real, natural brows. With the proliferation of this treatment those clients who simply wanted a slightly more emphasized, and a bit fuller brow while keeping the natural look also developed interest to try it. And the results are speaking for themselves. The hair direction of brows is usually definite; however, there are certain distinct types. In order to achieve the most natural look, we apply the hair stroke treatment according to the characteristics of your brow. 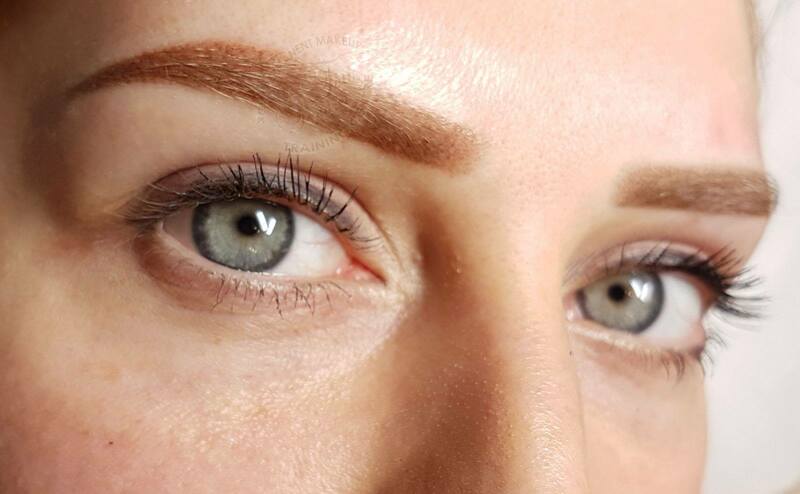 We can state boldly that the creation of brows is our specialty, we’ve mastered all the available techniques and use them daily in practice, and therefore we are able to create a natural look for all types of brows and for ladies coming from any ethnic background. This is important information, when we consider hair stroke technique! Please, pay attention so that you won’t be disappointed! The longevity of this procedure is significantly shorter than the powder brows technique! Many are inclined to equate these two techniques, just because they are both styles in cosmetic tattooing. The hair stroke technique can only look beautiful and have a natural effect, if it is constituted of fine, thin and gracious strands, which allow for a lifelike representation. Thin strands contain fewer pigments than strands that are tattooed thick. The advantage of this method is the natural look and lifelike effect and its drawback is its shorter longevity. Brows created by us with the application of hair stroke technique shall be refreshed circa after 1–1.5 years, because it fades and a change in the colour may also occur. If the tattoo was made with a lighter colour it has an even more significant effect on longevity. On the picture below you can see a brow made with hair stroke technique which was not made by us!! Stroke technique made of thick strands – such as this one – lasts for a few months more, however, it feels less natural and the arrangement is traditional, too. In today’s world, where 3D fake eyelashes, artificial nails – which require renewal in 3 weeks or 3 months – are popular, the guests who choose hair stroke technique are expressly happy that their brow needs renewal only once a year – keeping in mind that there is a 50% discount allowance! Decide for yourself, what is more important! Natural look or longevity? Do you suffer from Alopecia? 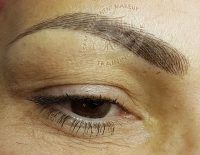 We may use the combination of various brow cosmetic tattooing techniques for a natural end result. 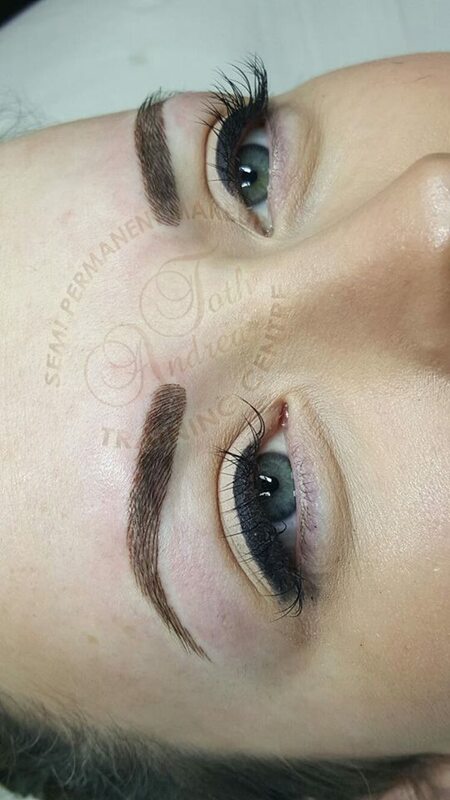 If your brow is bald or very sparse there is still possibility to achieve natural looking, tasteful permanent makeup! In this case we use soft-hatching technique or use strokes mimicking the brow as frequent as possible. With this method you do not have to be afraid that people will recognize from a distance that you have a permanent makeup. Are you disturbed by the fact that your brows are too round? 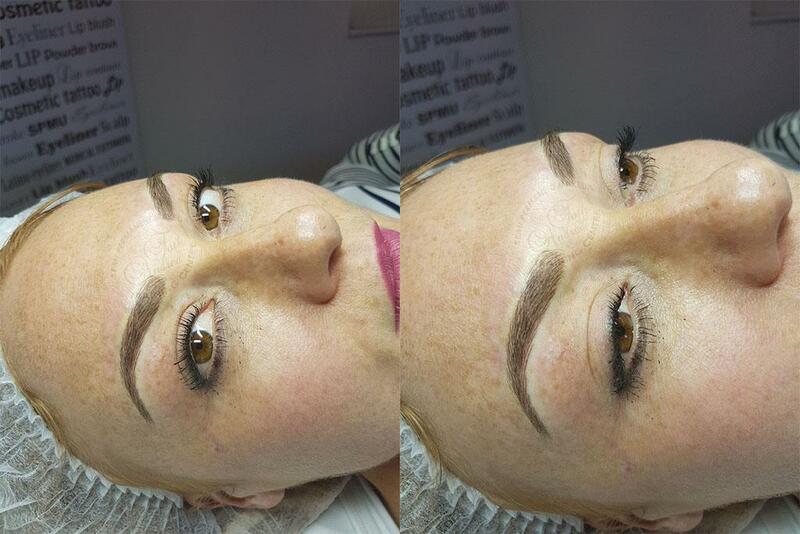 Here is the transformation of round brows! It is possible to shape it more beautifully and at the same time retain your character! Andrea did my eye liner on Saturday. had the best experience I've ever received from any salon. She was so lovely made me feel so at ease with treatment I didn't even feel any pain. Perfection Andrea did my daughters brows this morning and WOW what a transformation over the moon with them and Andrea puts you at ease has a laugh with you but is very much a professional at what she does I would highly recommend her. Had my eyebrows done here and Andrea is literally a magician! She's so lovely and makes you feel at ease and spent time finding the shape that suited me the most. The overall procedure was ridiculously painless and most of the time I couldn't feel a single thing. Cannot recommend Andrea enough. If you're thinking about getting your eyebrows done DO IT! Best decision I've made. 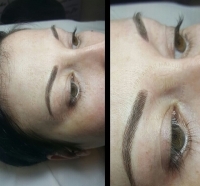 I had my eyebrows tattooed today by Andrea she is so professional, kind and a lovely person she explained the procedure I love what she's done. I've now booked to have eyeliner tattooed and also my lips, cannot recommend her highly enough if you want a professional job book here. 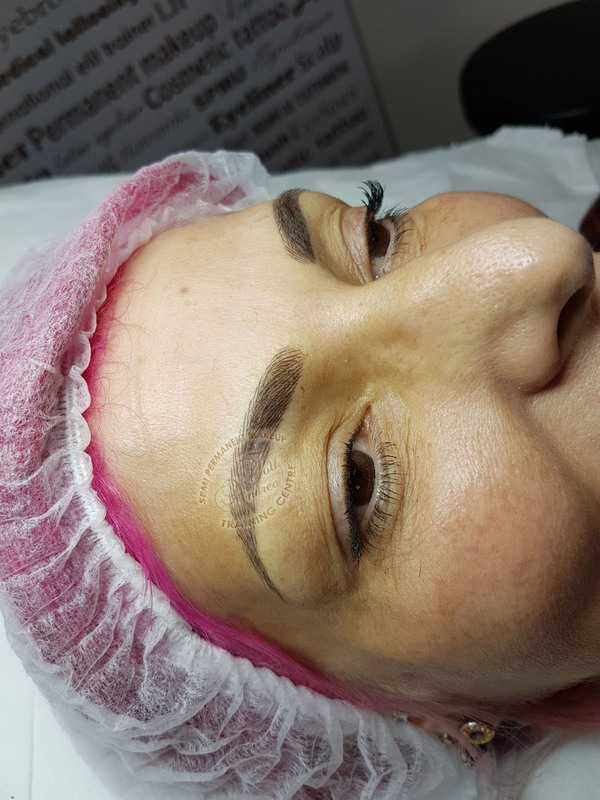 disinfecting of the skin, peeling, anaesthetization with gel and liquid, discussion of the form, design of the form, picking colour, pre-drawing of the brow with a special pencil, all this in 30-50 minutes, permanent makeup with Labina machine and pigment, disinfecting of the skin, post-treatment. After a few weeks correction on 1 or, if necessary, on 2 occasions, home post-treatment cream is a gift! 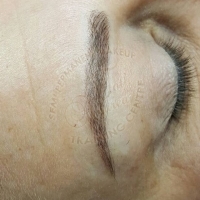 Brow permanent makeup with classic hatching technique. Not so long ago the only available technique was this. In some cases it may be indicated and beneficial. Brow shaped by hatching on the full surface of the form, with a distinct contour. 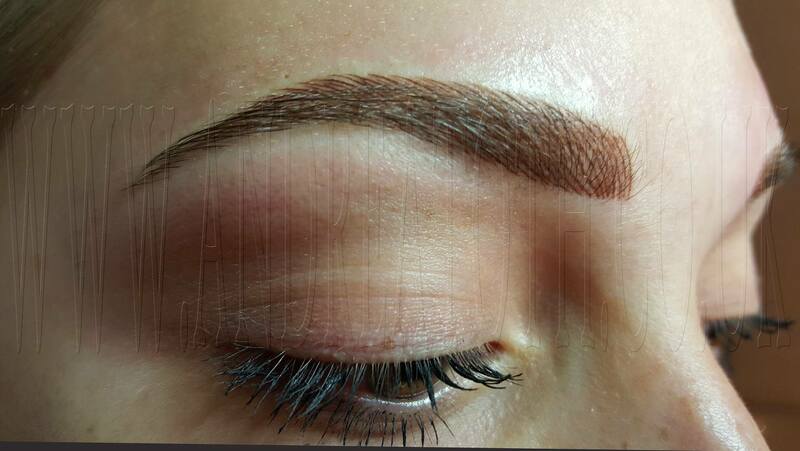 17 June 2017 Natural looking hair stroke eyebrow Creating cosmetic tattooing of the brow takes circa 2 hours, after this a thin scab forms on the tattooed surface, which will depart on the 4th or 5th day. It is forbidden to scratch or scrape the scar tissue even if it is itchy! During correction it is possible to shape the brow a bit longer and a bit thicker if the face shape requires it. The renaissance of hatching! Hatching redefined – soft, smooth, natural looking eye brows. Hatching – not too characteristic, natural but still lasting longer than hair stroke eyebrow. Soft Powder eye brow is the hit of this year! This style has gained ground in the recent years in traditional makeup, and now there is an option to wear it permanently. Beautifully arched, slightly accentuated eyebrows, where the first part of the eyebrow is lighter, less accentuated, so that it does not have a strict an unnatural effect. It is made by a Gradient, after healing it has a powder-like effect, it will be very popular among those clients who demand a natural looking but longer lasting solution in permanent makeup. Just like other techniques, this one is applicable in multiple styles.